This development was the final part of a controversial development lasting over twenty years. 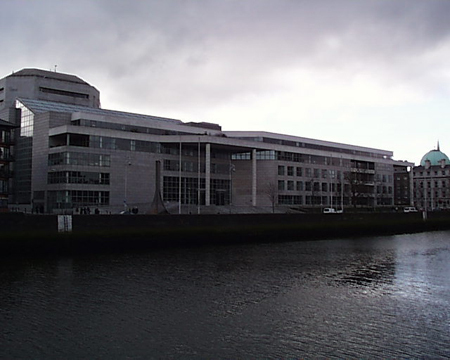 The site at Wood Quay had been earmarked as a site for the headquarters of Dublin Corporation since the 1950s. Many schemes had already been proposed including this when a competition was held in 1968. After the judging process was carried out, the winner was the design by Sam Stephenson. 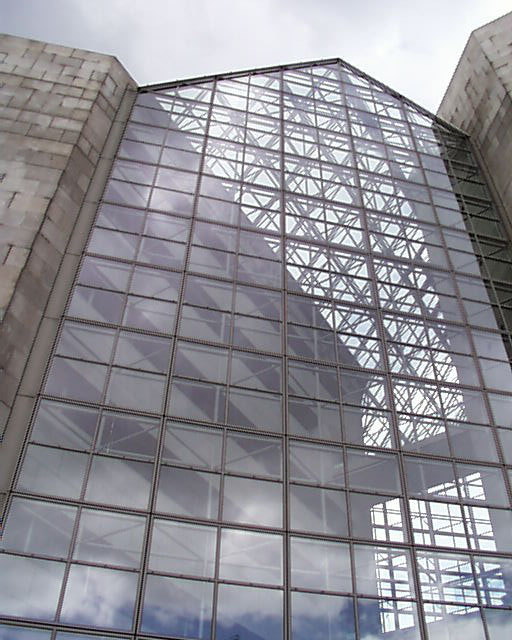 This consisted of four monumental granite clad blocks linked by a glass atrium. The two block at the rear of the site were to be taller allowing the building to descend towards the river. However after construction began, the remains of the viking city were found preserved beneath the site as well as a long section of the medieval city walls. This was to be the most important find on the viking beginnings of Dublin was one of the most important viking sites anywhere in Europe. After a period of some years, court cases, site invasions, excavations of the site and much publicity, the corporation finally began to built the development. Their nerve did not hold and after phase I was completed, the remainder of the project was put on hold – never to be completed. The ground around the two blocks were landscaped and the remains of the city wall piled up in a basement. 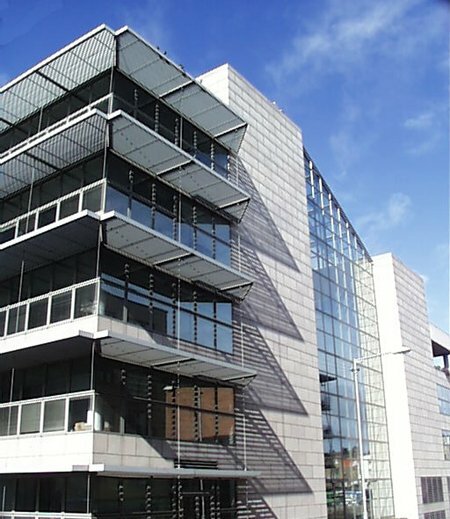 In the late 1980s the corporation held another competition to finish the site and to place a building along the quay completing the streetscape. 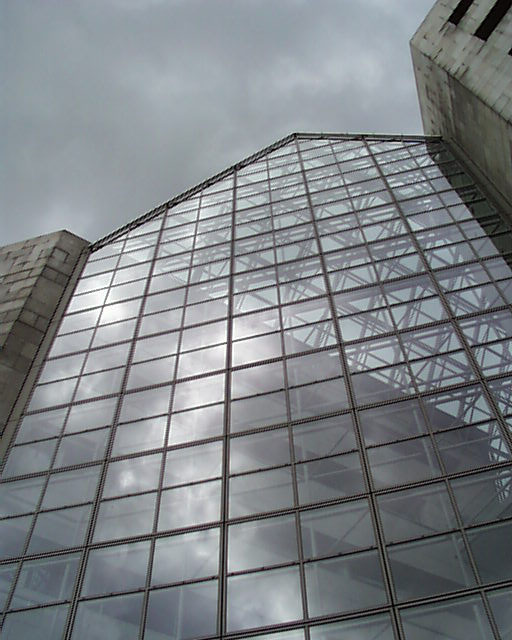 This time the competition was won by Scott Tallon Walker and was completed in 1994. In the original competition Michael Scott had been a runner up with a scaled down version of the United Nations building in New York complete with plaza, podium and 14 story glass sided block.